"Oscar Edmund Berninghaus was a major American painter. Born in St. Louis, Missouri, in 1874, he first came to Taos in the Territory of New Mexico in 1899. Here in this tiny village he and other artists found a painter’s paradise. 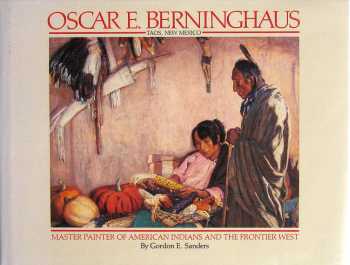 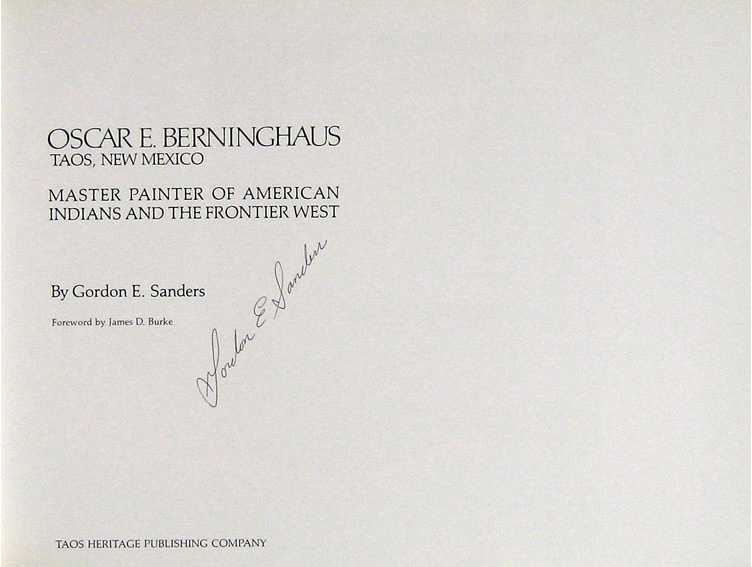 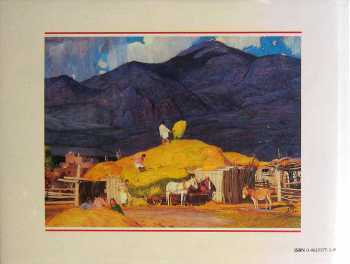 Berninghaus greatly admired and respected the Taos Pueblo Indians – the subjects of some of his greatest paintings. "Berninghaus was one of the original six founders of the famous “Taos Society of Artists” and worked in Taos during summer months and in St. Louis, Missouri during winter months until 1925 when he made Taos his permanent home. 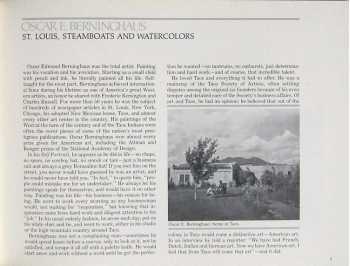 "Mostly self-taught, Oscar Berninghaus was often the subject of art critics and writers for some of the nation’s greatest newspapers. 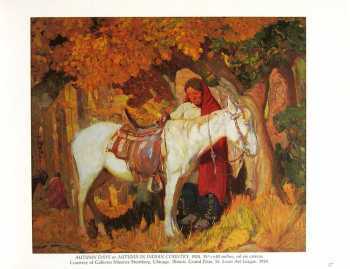 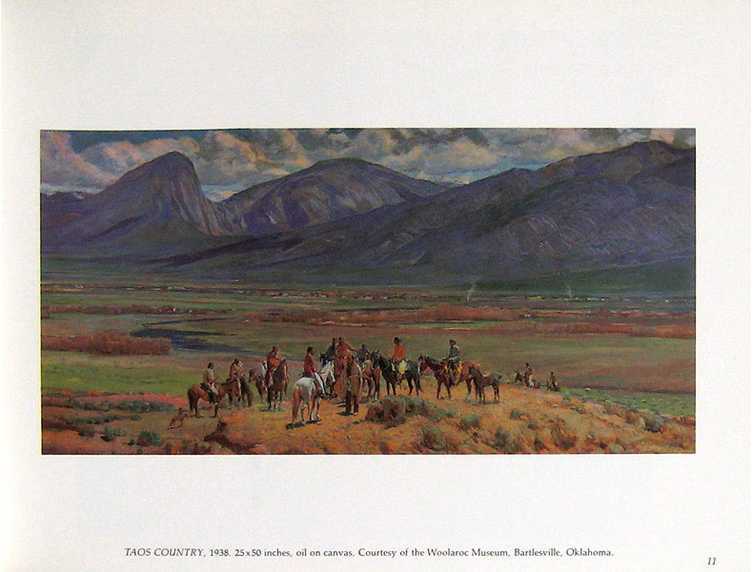 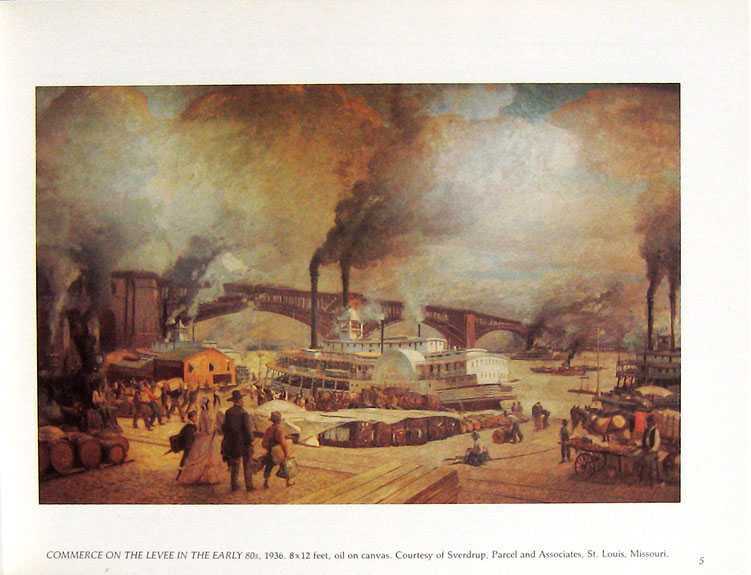 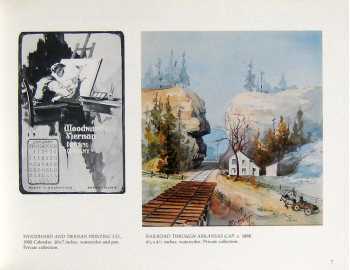 Many compared his work to that of Frederic Remington, and with Charles Russell, with whom he shared a studio in St. Louis. 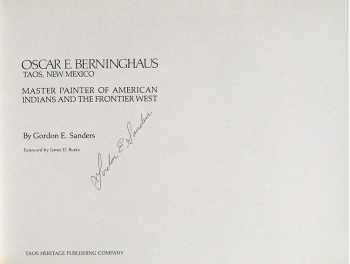 Berninghaus died in Taos, New Mexico, in 1952. 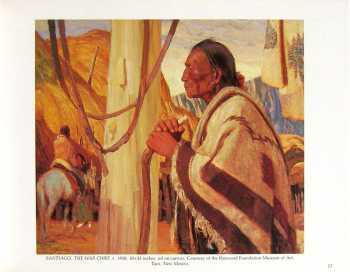 The story of his life is one of hard work, love, truth and respect for the humans process."